Suzuki makes the ultimate breakthrough - the new DF300APX provides the ultimate in efficiency and power. PISTON DISPLACEMENT CM3 4028 BORE X STROKE MM 98 x 89 MAXIMUM OUTPUT KW 220.7 FULL THROTTLE OPERATING RANGE RPM 5,700–6,300 STEERING Remote CHOKE – OIL PAN CAPACITY LIT. *All propellers are the 3-blade type. Please inquire at your local Dealer for details of the propeller. The original, Innovation Award winning, Suzuki DF300AP broke new ground. 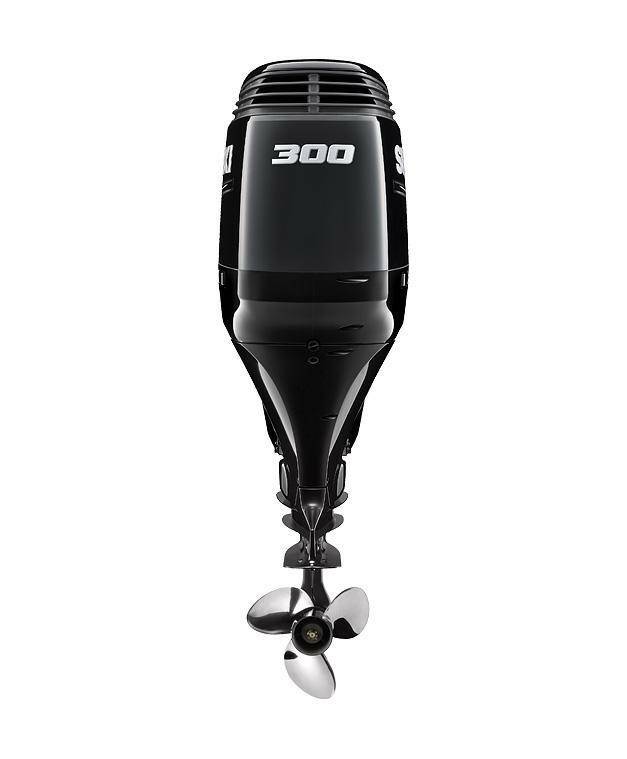 It was the very first 220.7kW (300 PS) four stoke outboard and it set a new benchmark for performance and power from a compact and lightweight outboard. 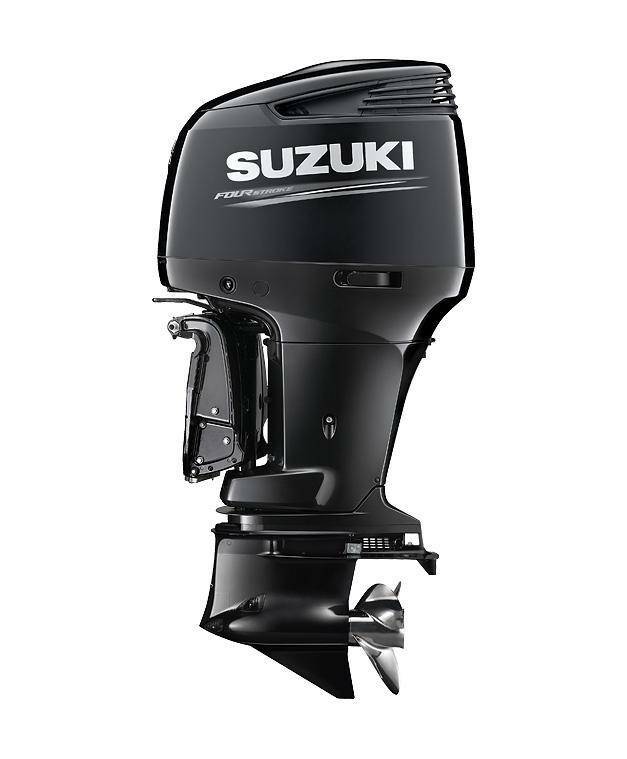 Now Suzuki has taken this ultimate outboard to the next level. The addition of Suzuki’s Lean Burn Control technology and a new O2 (Oxygen) Sensor Feedback Control System provides boaters with a dramatic improvement in fuel economy. 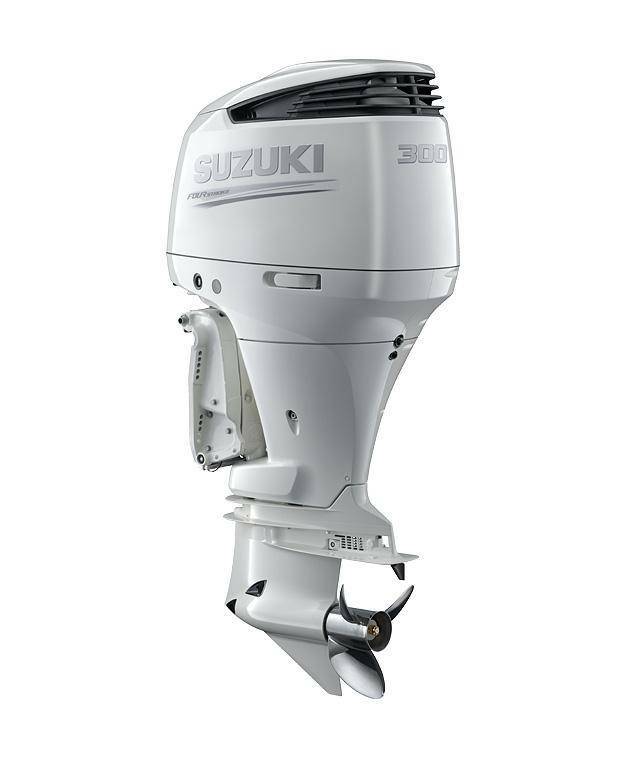 As well as environmentally responsible operation, further enhancing the overall performance and value of the Suzuki DF300AP, Suzuki’s flagship outboard motor. In-house testing shows that while cruising, the new Suzuki DF300AP is 14% more economical than its predecessor without sacrificing any of the original DF300’s power. Our flagship V6 range provides the perfect power for both leisure and commercial craft. 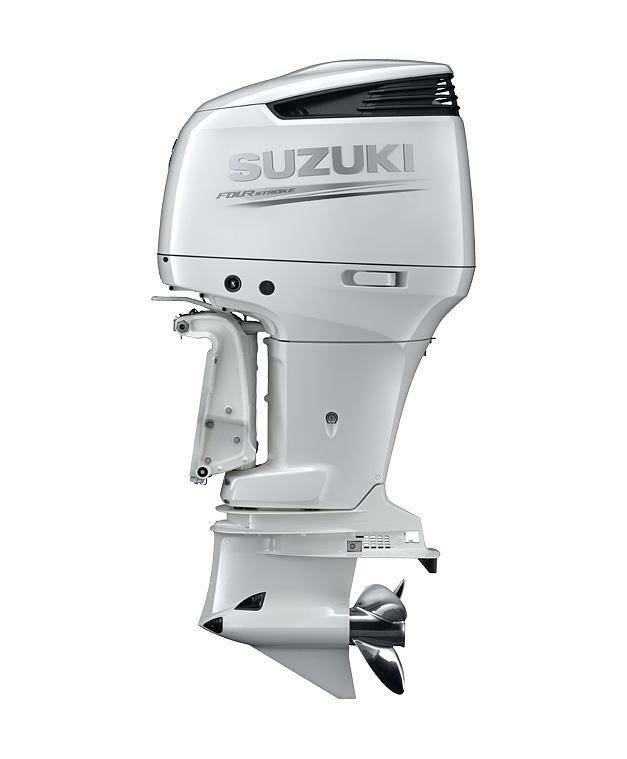 As part of our sole supplier agreement with the London 2012 Olympic and Paralympic Games Sailing Regatta, the new Suzuki DF300AP Lean Burn will be used to power the press and VIP boats at the event. Suzuki Makes The Ultimate Breakthrough -The New Suzuki DF300AP Provides The Ultimate in Efficiency and Power. 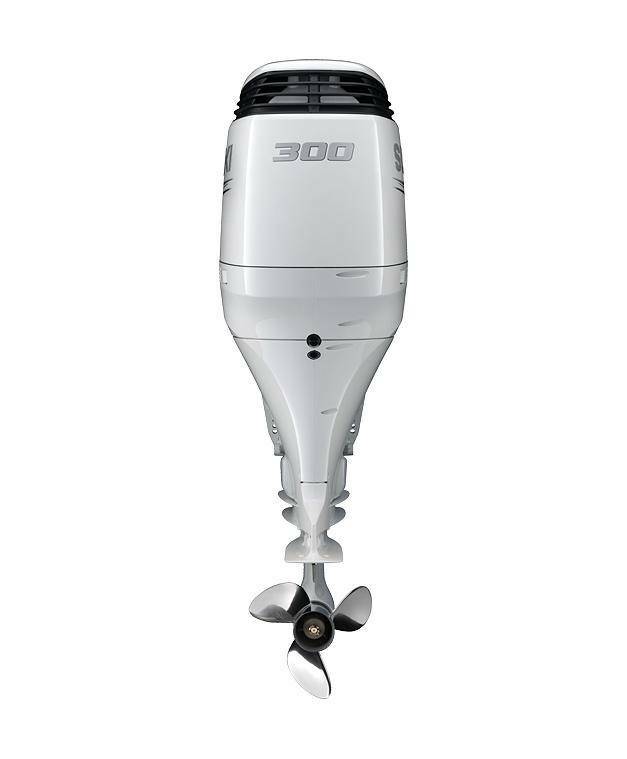 The original, Innovation Award winning, DF300 broke new ground when it was launched in 2006. It was the very first 300hp four stroke outboard and it set a new benchmark for performance and power from a compact and lightweight outboard. Now we have taken this ultimate outboard to the next level. 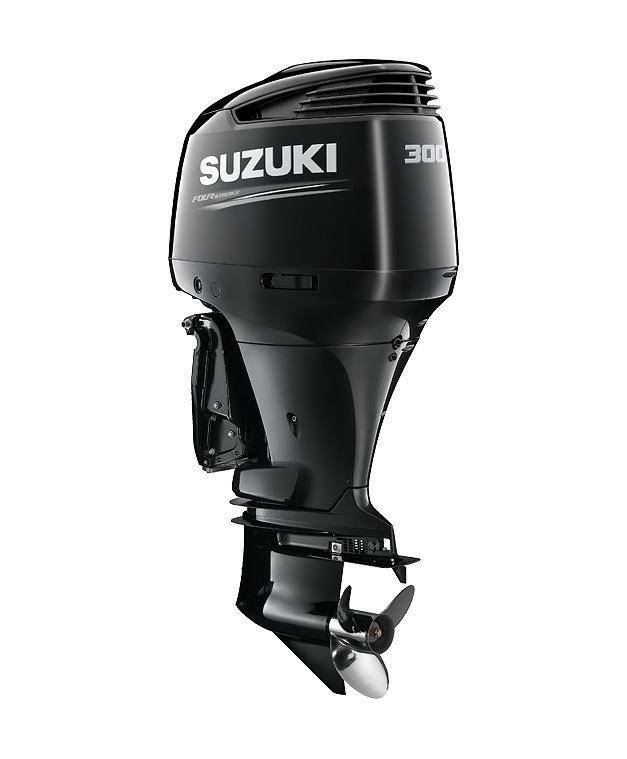 The addition of Suzuki’s Lean Burn Control technology and a new O2 (Oxygen) Sensor Feedback Control System provides boaters with a dramatic improvement in fuel economy as well as environmentally responsible operation, further enhancing the overall performance and value of our flagship outboard motor. In-house testing shows that while cruising, the new DF300AP is 14% more economical than its predecessor without sacrificing any of the original DF300’s power. The new DF300AP also incorporates Suzuki Selective Rotation. By strengthening the lower unit’s forward and reverse gearing our engineers have designed a lower unit that will run in either right or left rotation. This world first feature was recognised with the 2012 NMMA Innovation Award. Our flagship V6 range provides the perfect power for both leisure and commercial craft. As part of our sole supplier agreement with the London 2012 Olympic and Paralympic Games Sailing Regatta, the new DF300A Lean Burn will be used to power the press and VIP boats at the event. DF300APX – 15 900 EUR no accessories included! DF300APXX – 16 600 EUR no accessories included! Shipping costs by road transport are included inside Europe mainlands, please check your destination with us before ordering.